Large hoop earring, carefully shaped by hand from copper tubing, measure 1⅜ inch in diameter. 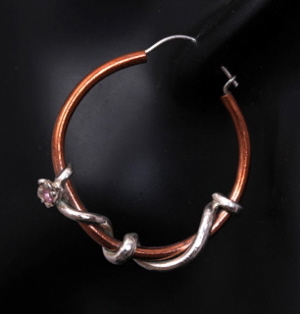 Draped with a silver "vine" of art clay silver. 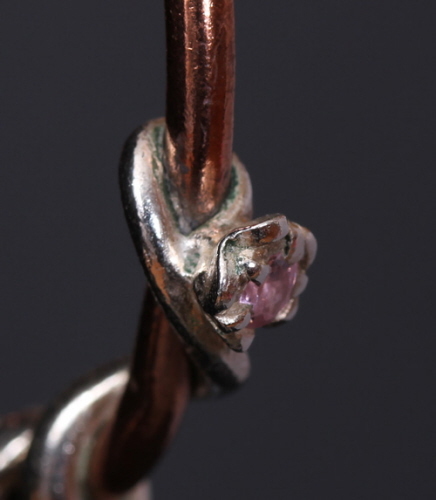 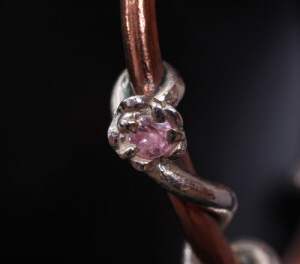 Accented with a 3 mm CZ "flower" in light rose. Earwire handmade from 20 gauge sterling silver wire. 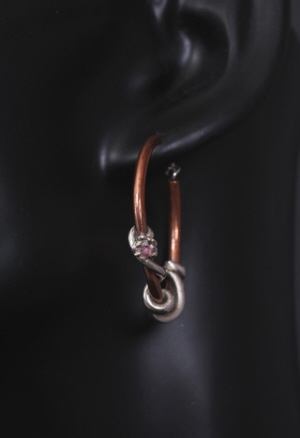 Earrings measure 1⅝ inch from top of earwire to bottom of hoop.